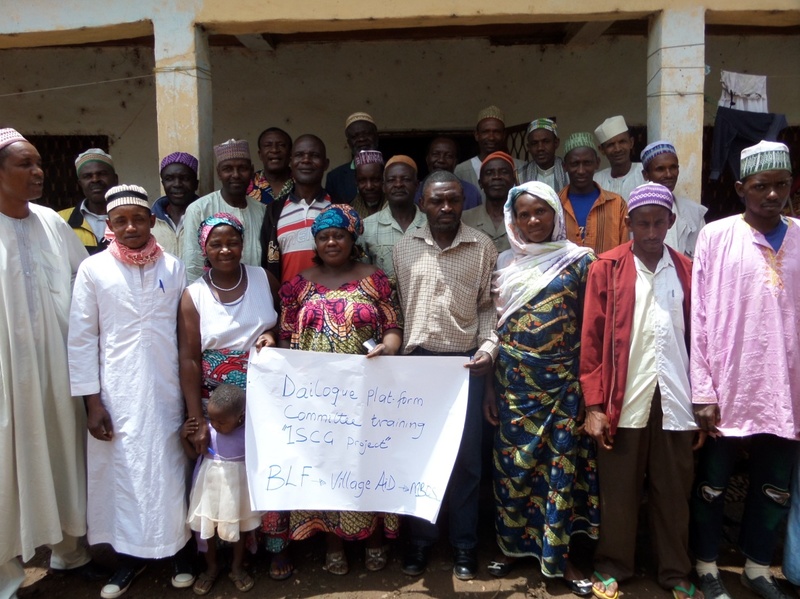 Dialogue platforms are integral to our efforts to reduce violent conflict between crop farming and cattle grazing communities in North West Cameroon. These are group meetings where farmers and herders can talk about problems such as cattle grazing, crops or water supplies before they escalate into conflict. We hear from Madam Nyoh Winifred, the president of a dialogue platform in Babessi village, on how these social spaces changed her life. Conflicts were common and severe in my community and would break out for a number of reasons. They were sometimes blamed on the late planting of crops by farmers. When grazers descended from the hills in search of pasture and water for their cattle, the cows would graze on the crops. Farmers would then block the cattle routes, leading to chaos. This caused community fights and the destruction of crops, cows and even people. Sometimes herdsmen would go in search of pasture earlier than anticipated and before crops had been harvested. This usually provoked the farmers into serious conflicts with grazers. Government services to mitigate conflict are too expensive for farmers and grazers to afford. Officials would demand 50,000 FRS (just under £60) from both the accused and the defendants. This is more than half the annual earnings of an average farmer. As a result of the dialogue platforms, signs of unity between farmers and grazers have emerged. For example, some farmers have begun to provide herdsmen with shelter when they migrate to farmland for transhumance (the transfer of livestock from one grazing ground to another) during the dry season. The farmers exchange this for manure to fertilise their crops. Gifts such as sugar, corn, bread and milk have also been exchanged between the two communities. The manure gifted to her by herdsmen has led to a significant improvement in crop yields on Madam Nyoh’s farm. Madam Nyoh said that many conflicts have now been solved amicably, making her life much more enjoyable. Today, close to six years since the notion of dialogue platforms was introduced by MBOSCUDA, the prevalence of conflicts has drastically declined and a more peaceful way of life has ensued within Babessi and other villages in the North West. NEXTClimbing for Safe Water Team complete their 13,225 feet Trek!